lambs | Frozen Pizza, Again? Russell and I had a “this only happens in the country” experience this past weekend: we attended a livestock show and banquet. We were invited by a couple from our church whose granddaughters are part of the local 4H program. We weren’t really sure what to expect but we went anyway to support the girls. 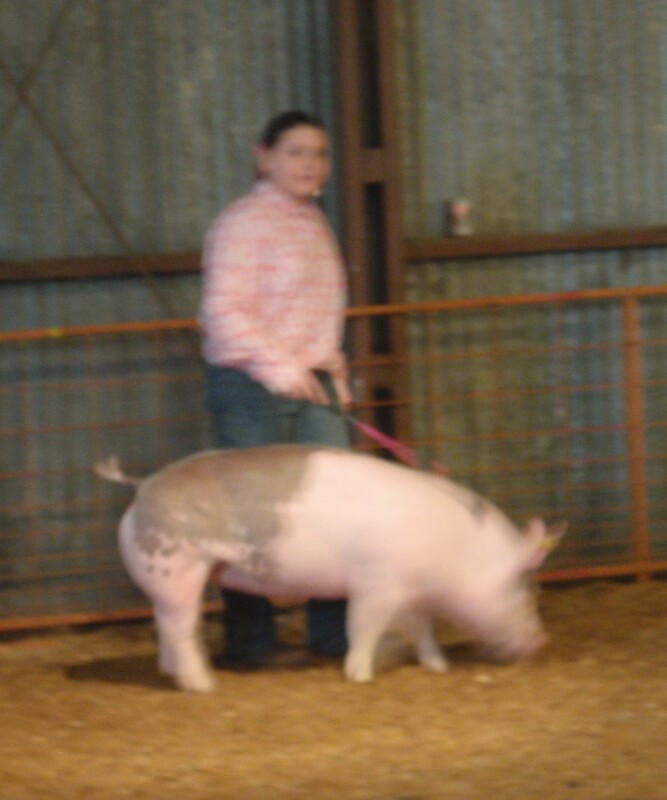 I was actually pretty excited, though, because going to livestock shows isn’t something we city folk do. One of the granddaughters showing her pig. The banquet was held Friday night in the gym of a local private school. It was much less showy than I expected, but there were pretty cowboy boot-wearing princesses and a queen. The queen received a $250 scholarship from a local Ag company. (Russell and I joked that the scholarship might buy one math book – college textbooks are so dadgum expensive!) I didn’t take any pictures because there wasn’t much to photograph and the lighting wasn’t very good. 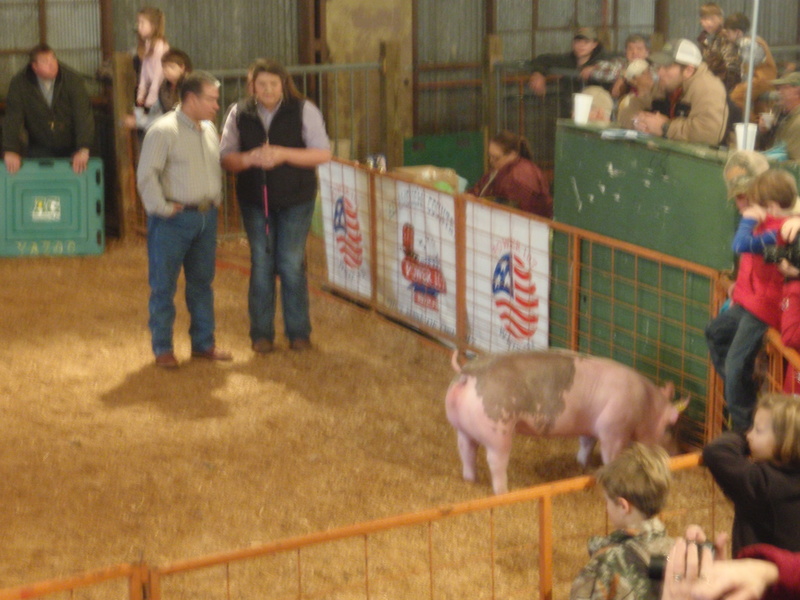 We also learned that the eldest granddaughter of our church members was the 2012 Livestock Show Queen. This is her showing her pig. The livestock show started at 9:30 the next morning. I figured it would probably take up most of the morning, but I didn’t realize it would take up the whole morning and part of the afternoon. 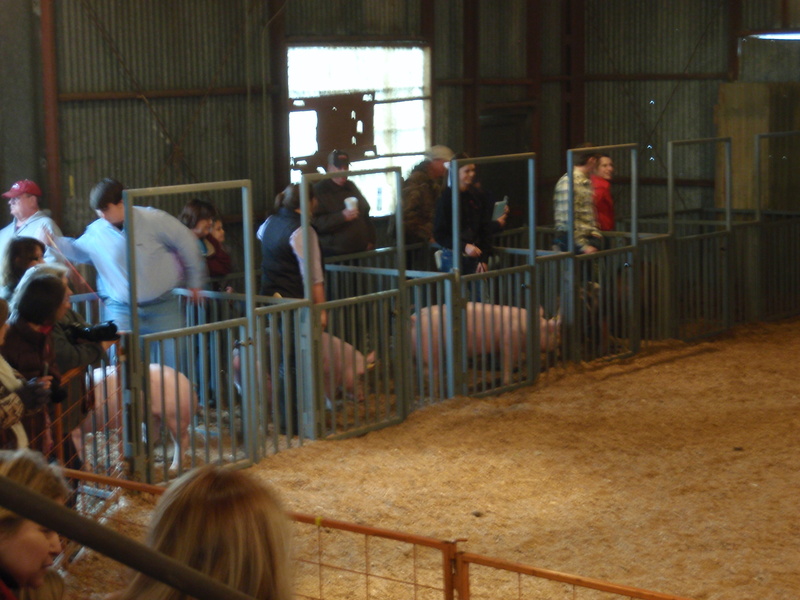 We left a little after 12 to go eat lunch and they had just started showing the pigs, which were last on the schedule. This time I took a lot of pictures (60 actually) and my camera battery threatened to die on me towards the end. 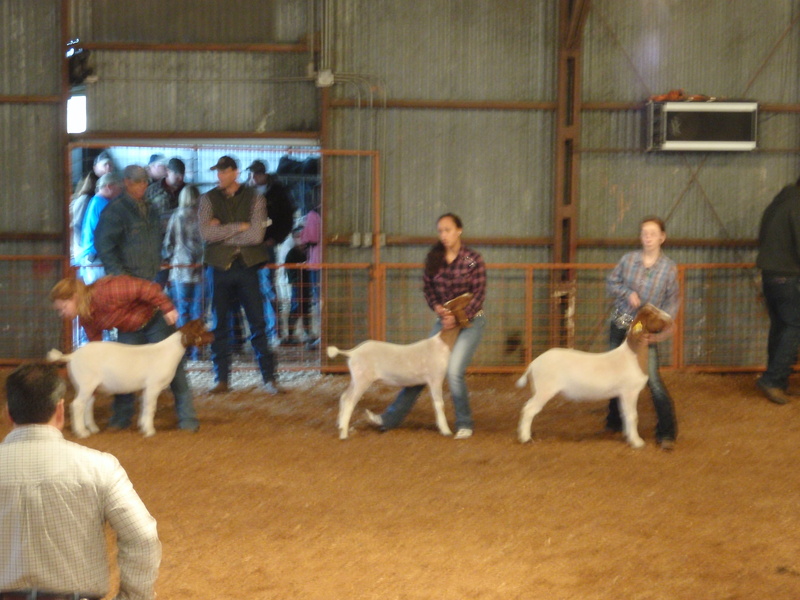 The show wasn’t quite as action-packed as I was hoping, but I did learn a whole lot about lambs, goats and pigs. We didn’t really understand what was going on at first because, even though there was an announcer, he couldn’t easily be heard over the animal noises. Eventually we realized that there was a program and that helped us follow along better. 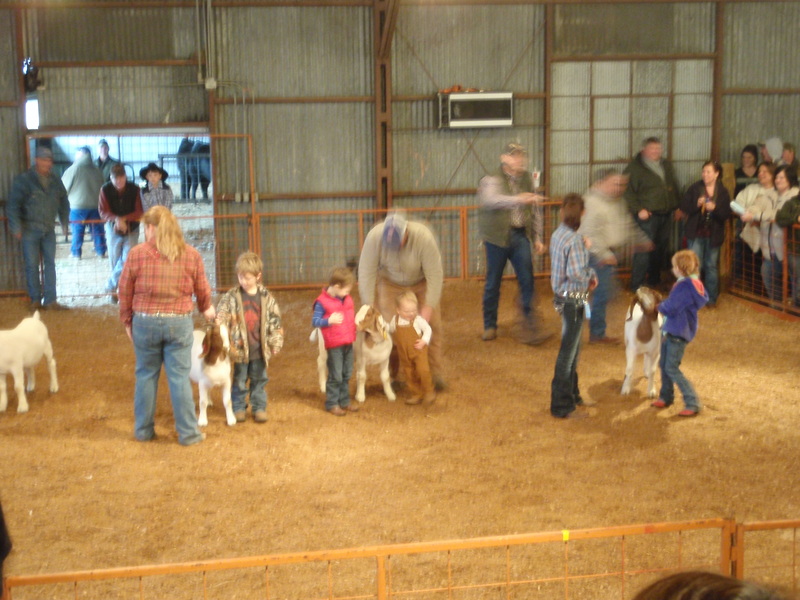 We figured out that we had just watched the showmanship competition where the kids get judged on how well they show and control their project/animal. The senior class went first (ages 14-18), then junior class (ages 8-13), then pee wee (under 8). We were told that the real competition doesn’t start until age 8; those who participate in pee wee are just getting practice. 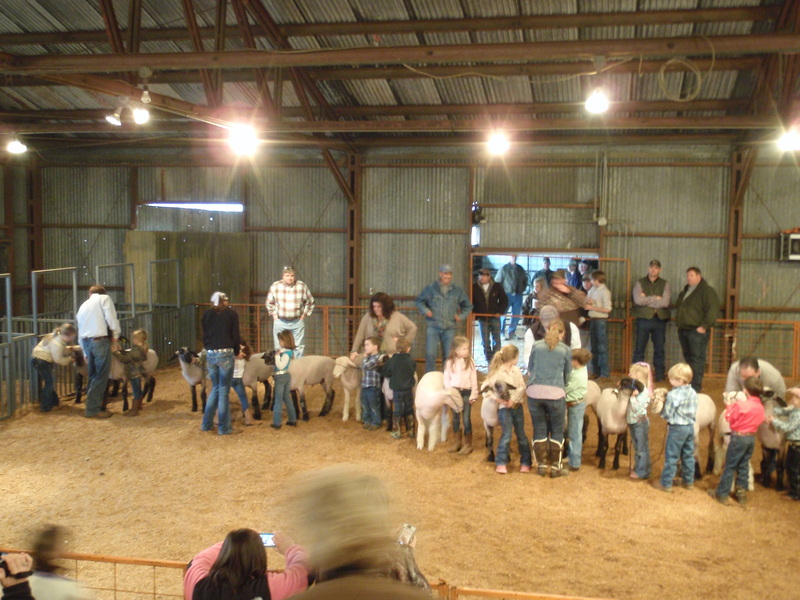 Then we figured out that the second part of the show is when the animals are judged on how marketable they are. The judge looked at their shape and size and chose which is the most attractive. I think that this part is to help potential buyers decide which one to buy. 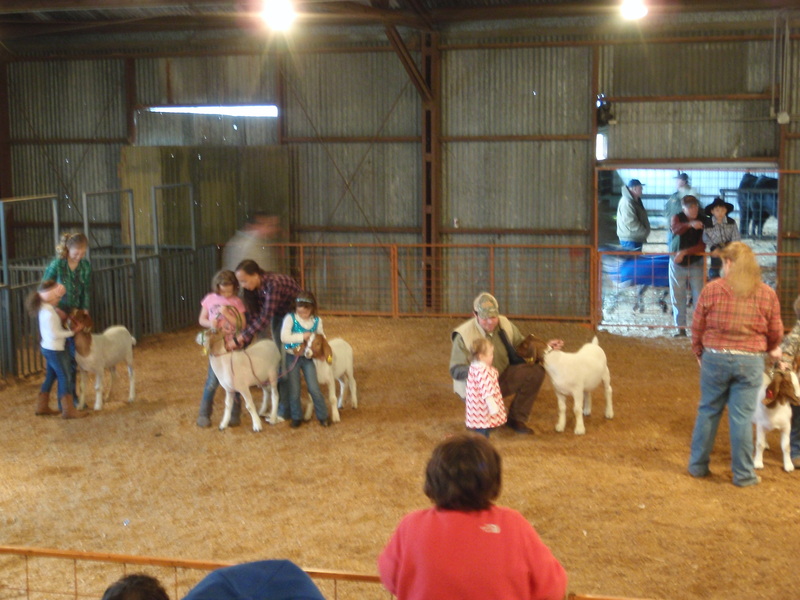 During the showmanship part each participant only shows one animal, but during the market part participants could show multiple animals per category. 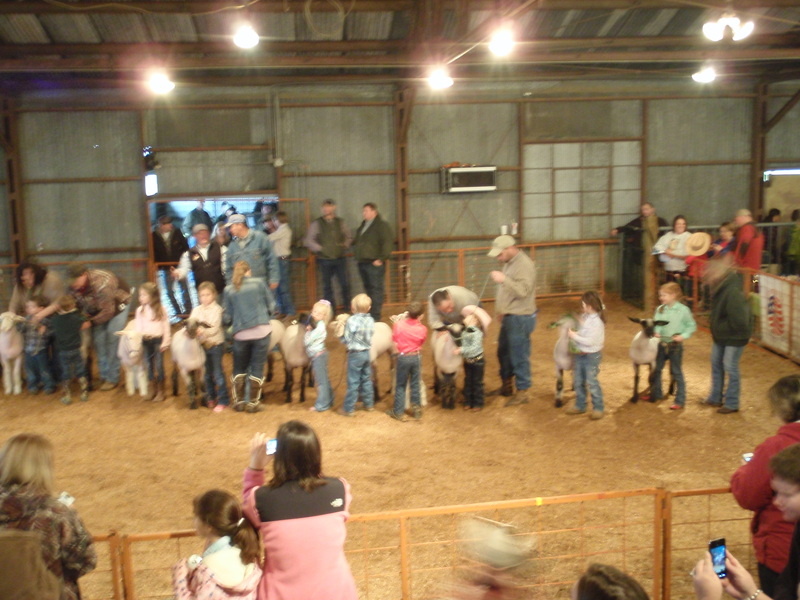 There were 6 categories of lambs, 2 of goats, and 6 of pigs. 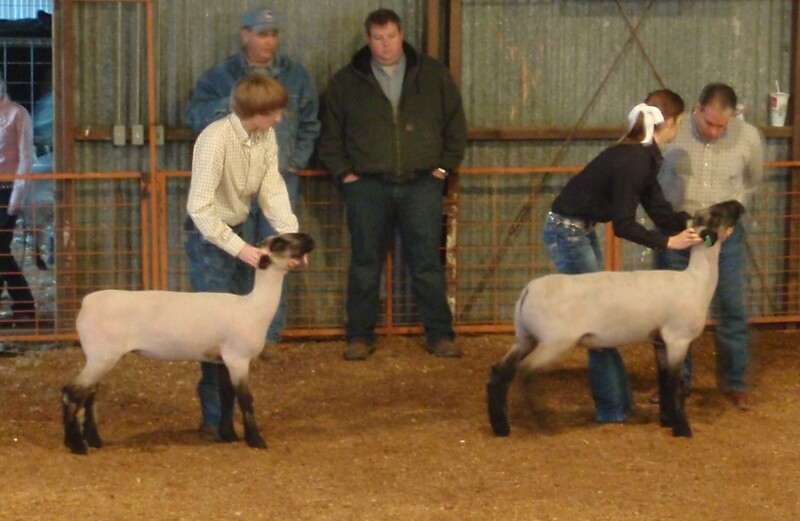 We couldn’t tell the difference among most of the breeds of lambs because they looked the same to our untrained eyes. The goats were only separated into lightweight versus heavyweight. The pigs, however, were much easier to distinguish because their markings were very distinct. 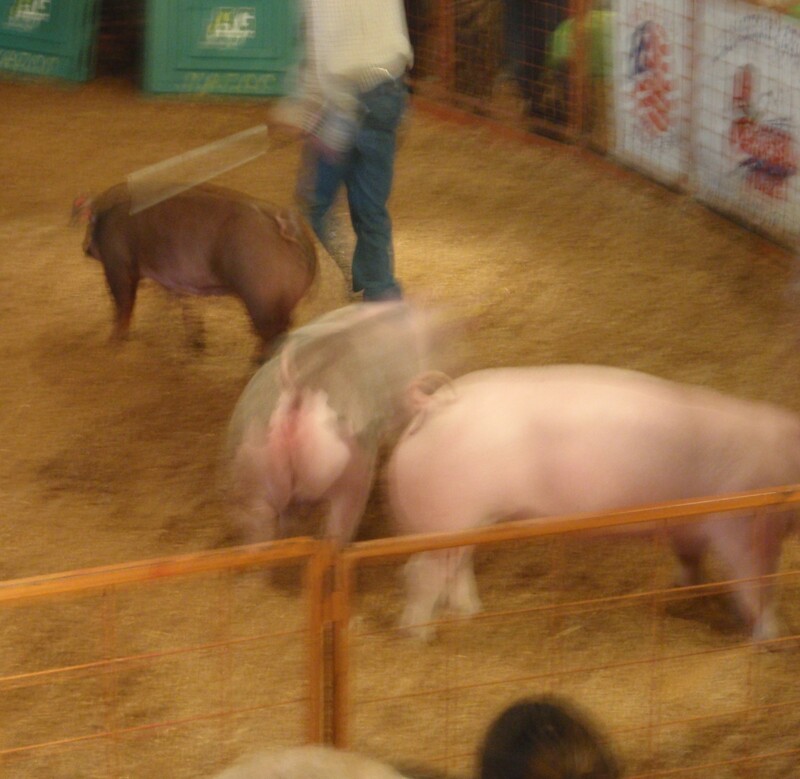 Even though this picture is blurry you can still easily see the distinct markings of the 3 pigs. So even though it wasn’t quite what I had expected it was still a pretty interesting experience and definitely educational! Enter your email address to receive new posts sent straight to your inbox!